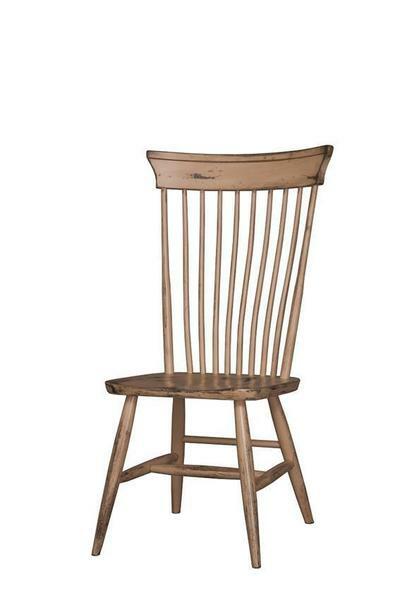 The Amish Plymouth Windsor Dining Chair is right at home in a country kitchen or dining room. Windsor style takes center stage with slim spindles and a wide chair band to top them off. Plain legs add to its charm. The Amish Plymouth Windsor Dining Chair is shown here in cherry wood with distressed black paint and harvest stain. At DutchCrafters, all our dining chairs are handcrafted and made with premium quality solid wood. Get in touch today to start building your dream furniture. Thank you for shopping at DutchCrafters.